Oops - we don't appear to have a video for the DR-X10C. 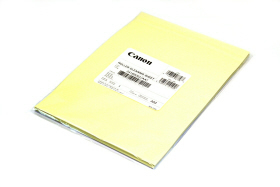 The Canon DR-X10C is Canon's premier scanner in the mid-volume production segment. 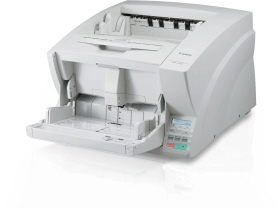 Boasting high-speed, high-quality image scanning, with reliable document handling capabilities, clear, efficient, and easy image scanning, and superior durability, the DR-X10C fits the demanding requirements of centralized scanning operations. The DR-X10C delivers unrivaled image quality at rapid speeds of up to 128 pages per minute and 256 images per minute, in colour, greyscale, or black-and-white. The energy efficient and durable DR-X10C, with its operator friendly design, is the ultimate solution for quality production level scanning. As Canon's flagship scanner in the mid-volume production segment, the DR-X10C is perfect for all mid-volume production scanning needs. Ability to Scan up to speeds of 128 ppm (256 ipm) respectively in color, gray scale, and black-and-white. Industry's first dust-free scanning system results in clearer images and minimized maintenance. Three Ultrasonic Double Feed Sensors enable more unattended batch scans. Programmable Scan-To-Job buttons, intuitive control panel, and ergonomic design for simple operation.